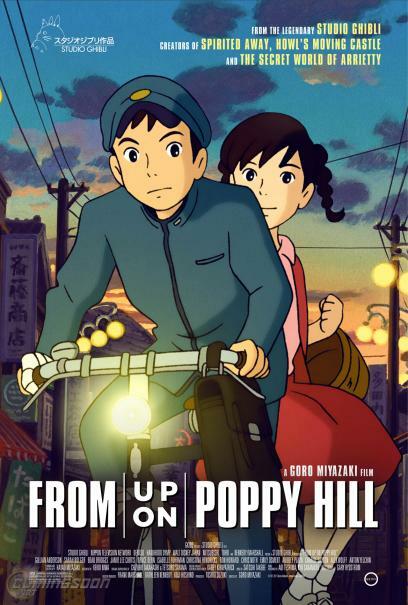 From the legendary Studio Ghibli ("Spirited Away," "Ponyo," and "The Secret World of Arrietty") comes "From Up on Poppy Hill," the highly anticipated new feature from Goro Miyazaki and Hayao Miyazaki. Set in Yokohama in 1963, this lovingly hand-drawn film centers on Umi (voiced by Sarah Bolger) and Shun (voiced by Anton Yelchin) and the budding romance that develops as they join forces to save their high school's ramshackle clubhouse from demolition. The story takes place in a Japan that is picking itself up from the devastation of World War II and preparing to host the 1964 Olympics – and the mood is one of both optimism and conflict as the new generation struggles to embrace modernity and throw off the shackles of a troubled past. 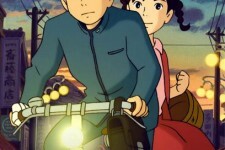 The top-grossing Japanese release of 2011 and winner of the Japan Academy Prize for Animation, "From Up on Poppy Hill" captures the innocence of new love as well as the beauty of Yokohama's harbor and lush surroundings. With its rich color palette, stunning exteriors, sun-drenched gardens, bustling cityscapes and painterly detail, "From Up on Poppy Hill" provides a pure, sincere, and nuanced evocation of the past, and marks yet another creative triumph for Studio Ghibli.